In just one week, we will celebrate 100 Days ‘Til THON. From February 15-17, 708 dancers will stand together as they begin their 46-hour no-sitting, no-sleeping journey in the fight against childhood cancer. Last year, THON raised $10,151,663.93 for Four Diamonds at Penn State Children’s Hospital, bringing THON’s total contribution to Four Diamonds to over $157 million since 1977. However, there is still work to be done. To celebrate the countdown to 100 days ‘Til THON, THON is launching the second annual One Day We Will Dance In Celebration campaign. This campaign encompasses THON’s hope to one day dance in celebration of a cure for childhood cancer and our commitment to continue dancing until that day. We have set a fundraising goal of $300,000 over the week of October 31 to November 7, 2018 in an effort to raise awareness of THON’s mission and to ensure funding for innovative family care and critical research at Penn State Children’s Hospital. I’m asking you to consider supporting this movement by making a gift of $100 to celebrate the 100 days remaining until THON 2019. A gift of $100 will provide four hours of music therapy for a family impacted by childhood cancer so that they can communicate and heal in their own way. 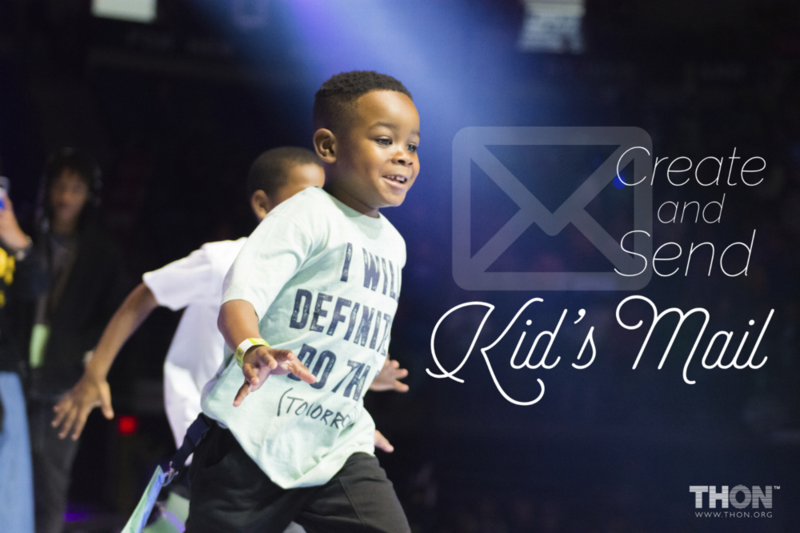 As a community, we remain dedicated to the deeper meaning behind the monetary amount that we raise in hopes that kids are able to create positive memories despite this disease. Join us in the fight against childhood cancer by making a gift today. Together with the continued help of our generous supporters, we will one day dance in celebration of a cure. Click here to join the fight today. Help Give Smiles, Give Love, Give Dreams, Give Life. The chapter GPA is around 3.0 (we swear). This week is the week where THON committee applications are reviewed and interviews happen, and next week we hope to have good news about brothers being part of different committees. Finally, rush week just ended last week, and we have promising group of pledges we are looking forward to bringing apart of Theta Chi. This year, the 18th Annual THON 5K will be held on October 21st at Penn State. Join us in the 18th year of the THON 5K by supporting THON from any place, at any pace. Can’t make it to University Park? You don’t have to be on campus to #RunWithUsFTK – Join fellow alumni across the country who are supporting the THON Virtual 5K! Form a team in your community to run the race on the weekend of October 21st, all while raising funds and awareness For The Kids! Your efforts will support over 4,000 families impacted by childhood cancer by providing access to comprehensive care and emotional support, while also funding critical research to impact cancer treatment on a global scale. With the support of our Penn State alumni and friends, we can spread hope around the world. 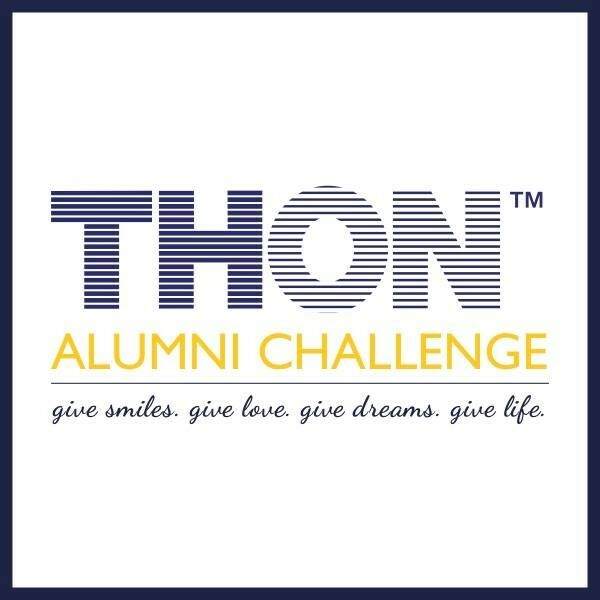 Click here to create or join a team of fellow THON supporters! To learn more information about the THON 5K, click here. We hope you are all doing well the summer. We are still dedicated to our flagship philanthropy G.I. Theta Chi. The Omega Chapter of Theta Chi at Penn State is working to raise funds for the United Service Organizations. Every year we host a fundraising event to raise money for the USO with the hopes of helping out the millions of veterans and their families as they transition back into their communities. Growing Up is a Beautiful Thing. Let’s Fight for It! In just two short weeks, the year-long efforts of more than 16,500 student volunteers and 25,000 alumni will culminate in a forty-six-hour, no-sitting, no-sleeping dance marathon. 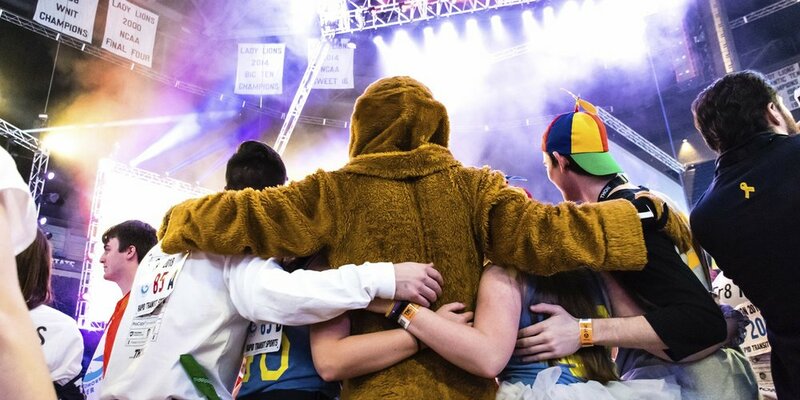 For those forty-six hours, the Bryce Jordan Center will transform into a home of bright colors, endless energy, and unwavering support for families affected by childhood cancer. From February 16-18, the Penn State community will once again join together to show what cancer cannot do. Since 1977, THON has raised more than $146 million for our sole beneficiary, Four Diamonds. THON’s contributions cover treatment costs for pediatric cancer patients at Penn State Children’s Hospital, ensuring that no family ever has to see a bill. Additionally, THON’s support funds innovative research, helping the worldwide cancer community in pursuit of a cure. P.S. Don’t forget to credit your favorite student organization, or potentially double your gift through company matching. THON was the very first student organization I became involved with here at Penn State. My freshman year, I was on a Rules and Regulations committee, responsible for ensuring the safety of the Bryce Jordan Center. Last year, I was responsible for the health and well-being of a dancer throughout the 46 hours as a Dancer Relations Committee Member, and I oversaw the fundraising efforts of my fraternity, Theta Chi, throughout the course of the year. THON is the most incredible effort that college students convene to create, by far, with $146 million and counting raised since its inception, with all proceeds benefitting the Four Diamonds Fund, which provides monetary support for children with cancer at Hershey Medical as well as grants for research with the intention of finding better treatment/ eventually a cure for cancer. Further, to mitigate any concerns you may have about where the money actually goes, I have done extensive research on this subject and can confirm that THON donates approximately 96% of funds received to Four Diamonds, with the remainder covering necessary costs incurred during THON weekend (it's run entirely on volunteers). Four Diamonds itself is able to turn around and use approximately 91% of the funds it receives to directly benefit children, either through covering what insurance cannot, providing research grants, or paying people like music therapists to keep spirits high during difficult treatments. Altogether, this comes out to .96 * .91 = a little more than 87 cents of each dollar donated directly impacting children, which is considered impressive in the fundraising community. This year, I am taking action in the fight against childhood cancer. Throughout the year, I am fundraising on behalf of my organization benefiting THON to offset the costs of treatment that insurance cannot cover, expenses that improve the welfare of kids, and fund critical research in pursuit of finding a cure. I am committed to enhancing the lives of children and families impacted by childhood cancer as well as building lasting relationships with the Four Diamonds families, and it is my hope that one day every child has the opportunity to live out their childhood dreams. THON's hope is for every child to have the opportunity to live out their childhood dreams. Despite advancements in research and treatment, this may not become a reality for some. With your help, we will continue to fight for the day that no parent has to hear the words, “your child has cancer.” It takes each and every student, volunteer, alumnus, donor, and supporter to spread awareness of THON’s mission across the country and throughout the world. With your dedication and support of THON, together, we will make a difference in the life of a child. Join us in the fight, For The Kids. THON is a Greek organization that works tirelessly each year to benefit the Penn State Dance Marathon. With the generous support of our large alumni base, we are able to continue the fight against childhood cancer even after graduation. Since 1973, the Greek Life community at Penn State has united with a common purpose: For The Kids, For The Cure! Each year we stand together to show what cancer cannot do.